Although it will be hard to see with your naked eye, it is best to use toothbrushes with rounded bristles. This means that these brushes are safer to use and will not scrape away important parts of your teeth such as enamel and dentin. Since you cannot see those bristles just by looking at them while grocery shopping, it is highly recommended that you throw it away before it wears out and becomes unsafe. We advise that if you brush your teeth twice a day, it is best to change your toothbrush every four weeks. In general, changing your toothbrush every 3 months will do. It is also best to buy a toothbrush with soft bristles. Harder bristles are like jagged knives ready to puncture and scrape your teeth – causing more damage than getting your teeth clean. Over-brushing is not about how many times you brush each day. There are people who would be concerned about too much brushing if they brushed their teeth after every meal. So, if they eat more than three times a day, that would mean brushing their teeth more than three times a day. But that does not constitute over brushing. Studies show that approximately 80% of people are over brushing. It is directly related to the way you brush your teeth. Generally, people brush their teeth until it feels smooth and squeaky clean. It is like scrubbing dirt from your bathroom tiles. Stop this mistake! Brushing your teeth should be like a massage to protect your teeth’s dentin and enamel. Going back and forth is like scrubbing and this can be harmful to your teeth. It is best to position your toothbrush at a 45-degree angle to be able to reach the gum line. Normally, most people are focused on brushing their teeth and they forget their gums. Bacteria builds up more on gums, particularly the area between your teeth and your gums. This area is often ignored. 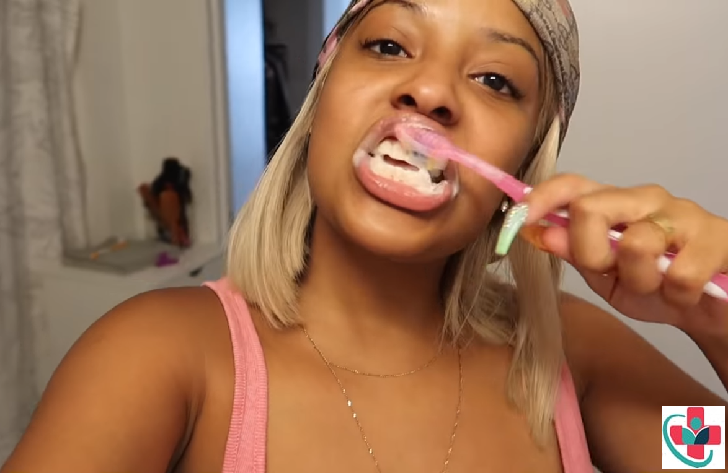 Yes, brushing your teeth properly means proper timing. This means that you need to wait for at least 15 minutes after a meal to brush your teeth. The goal is to let your saliva work its way to remove the acid from your mouth. If you’re in a hurry, wash away the acid in your mouth with water before brushing your teeth. We recommend brushing your teeth twice a day for two minutes – no more, no less – one in the morning and one before going to bed. Staying too long in the bathroom brushing your teeth means you are adding minutes on damaging your teeth. Stop the habit of listening to your favorite music every time you brush your teeth. Brushing your teeth is the most basic and fundamental means of caring for your oral health. Do not wait until you experience bleeding gums or tooth decay before you start caring for your teeth. Remember, your oral health is just as important as keeping your physical body in good condition. Your oral health reflects your total well-being.